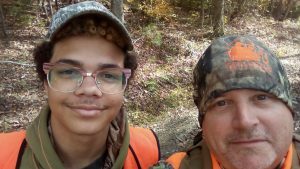 This past weekend our Georgia Chapter, led by Program Director Don Brooks, held its second deer hunt of the season with the remaining group of young men from its chapter. Once again we were back out at Walker Creek Outdoors where Shannon Morgan and team hosted us and had everything ready for a successful day of deer hunting. Friday night started with a delicious Chili dinner and fixin’s, welcoming 2 new mentors, Rob Watford and Jason Gardner. Our friend Corn Bread, also joined us to team with up with Program Director Don Brooks and our Cast and Blast Sharp Shooter Winner Daniel Novak on his Special Hunt thanks to sponsor Brian Stover with BLD. We enjoyed the fellowship between boys and mentors this evening and after camo clothing was given out to the boys and a little time around the camp fire we hit the bunks. Saturday morning we woke up early to a “grab and go” breakfast and were off to the woods. Once arriving, all mentors and boys were taken to their stands to wait on daylight. The action started early when Lance and his mentor Michael Watson had the first opportunity of the day. Lance took aim and was able to harvest his first deer ever! 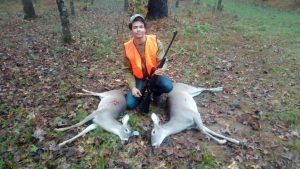 Shortly after, another shot rang out and one of our long time young men Demetrius was also able to harvest his first deer and first buck, all at one time! A nice 5 pointer! A lot of the boys saw action with the rut coming this time of year. 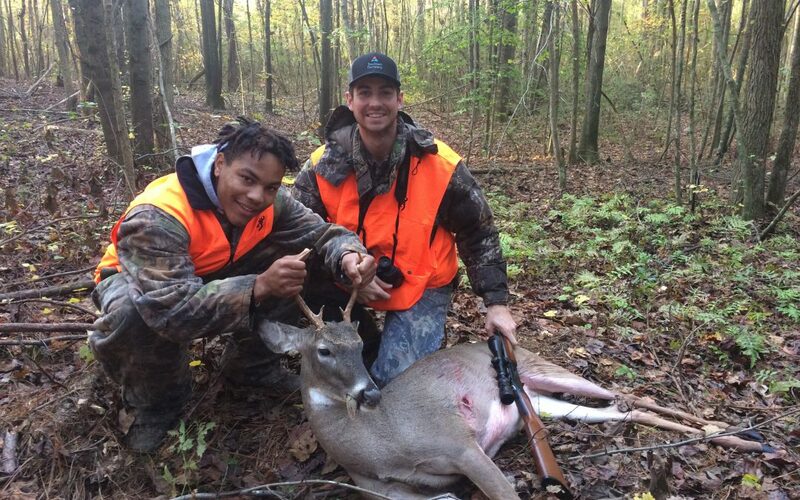 Manny and mentor Jason Gardner had 2 bucks chasing does but a shot never did present itself. We broke for lunch at midday, where Jeff Blalock treated us to pulled pork sandwiches. Jeff Davis led a devotional on knowing Christ and then Shannon Morgan with Walker Creek Outdoors hosted a shooting competition for the boys. All the boys proved to be a sure shot but in the end Corey took 1st place and Manny took 2nd place. Each young man won a gift card to use how they would like. Some of the boys hit the woods right after the shooting competition. By mid afternoon all boys and mentors were back in the stand for the evening hunt. A brief rain shower came through and cooled things off. There were some deer sightings in the afternoon but no clean shot to be had. 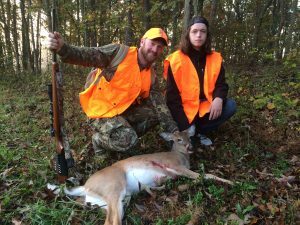 Meanwhile, late afternoon on the Sharp Shooter Hunt, Daniel Novak spotted his targets and made his shots, bringing home a nice doe and a young buck. Four deer for one day of hunt with our boys is definitely a great success but more than that, it was a great day between boys and mentors as they were able to spend quality time bonding and building relationships in God’s Creation. Please continue to pray for our programs, boys, and mentors. We love to see these young men succeed in all of the outdoor activities we hold. However the true success is when these young men come to know Christ as their Lord and Savior and strengthen their walk with Him. If you would like to partner with us by donating, involving a boy, becoming a mentor, etc visit our chapter pages by using the option at the top of the website. You can check out all the pictures by using the link below.